FOCUS is a 501(c)(3) nonprofit organization and reaches over 4,500 families in metro Atlanta. We rely on grants from corporations and foundations, donations from individuals, fund raisers, and volunteers to help keep the costs of our programs affordable. April 9, 2019. FOCUS + Fragile Kids Golf Classic at The Manor Golf & Country Club in Alpharetta. August 17, 2019. SummerFest at Tucker Brewing Company. Fund raising in flip flops! 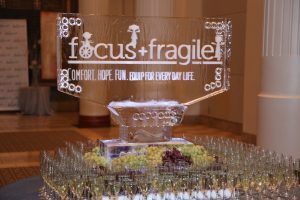 Raise a glass to all FOCUS + Fragile Kids camps! Plan your own fund raiser! Bake sale, walkathon, instead-of-gifts birthday, supply drive – we would love to be the beneficiary of any size event! We make the most of every donation! Volunteer! Our children will steal your heart and you will definitely receive more than you give!